Magnus Volk had this mad idea to extend his existing railway to Rottingdean. However due to the steep climb up to the cliffs between Brighton and Rottingdean the only way Magnus Volk could extend the railway was to go through the sea. Totally bonkers! 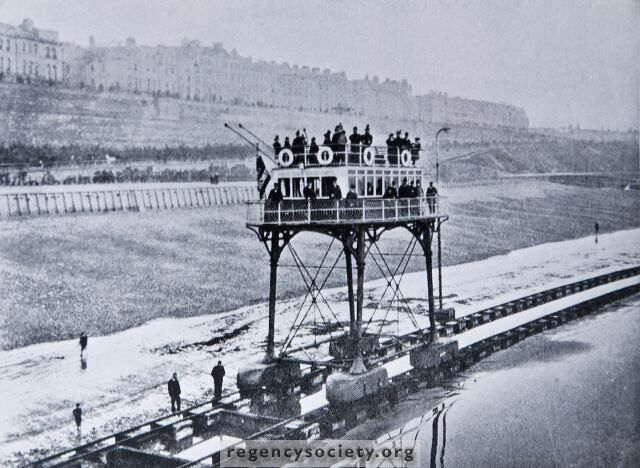 So on the 28th November 1896 The Seashore Electric Railway was born, fondly known locally as the 'Daddy Long Legs'. The car itself was called the Pioneer and could carry up to 160 passengers. I often wonder if any of my ancestors had the chance to travel on this, I'd like to think so. > the Regency Society. www.regencysociety-jamesgray.com. The tracks from Rottingdean looking towards Brighton. 2009. After a week of opening in 1896 a big storm hit Brighton and destroyed the Chain Pier, also damaging the Pioneer. It broke free from its moorings at the pier in Rottingdean and fell on it's side. After being repaired and fitted with even longer legs, the Pioneer opened again in July 1897. The remains of tracks west side of the marina. April 2011. One of the remaining wooden pylons that carried the overhead electricity cables. 2009. 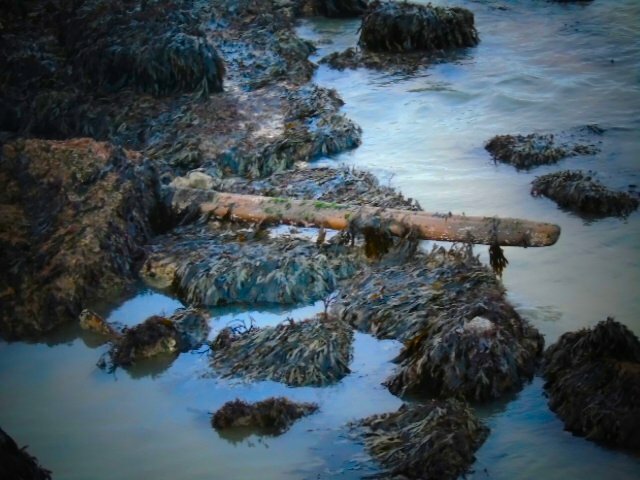 The remains of the landing pier at Rottingdean. 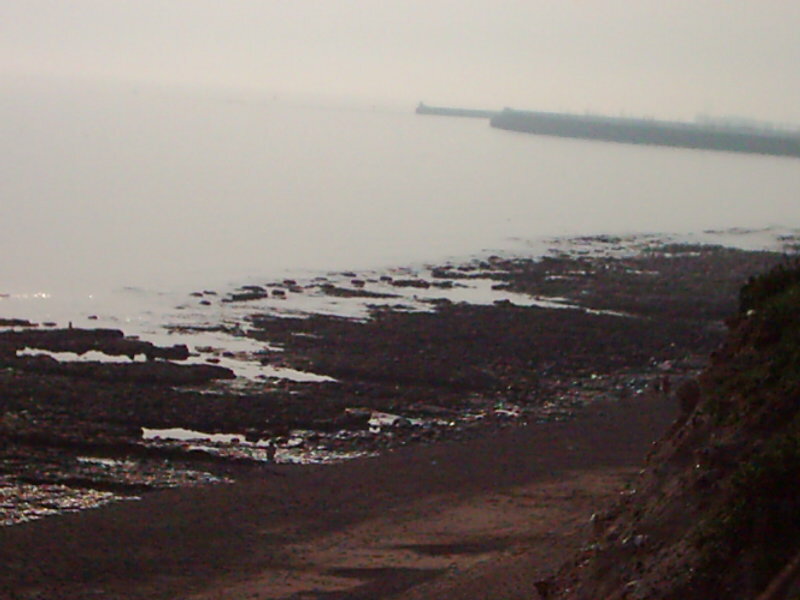 The remains of the track beds at the west side of Brighton marina looking east. April 2011. 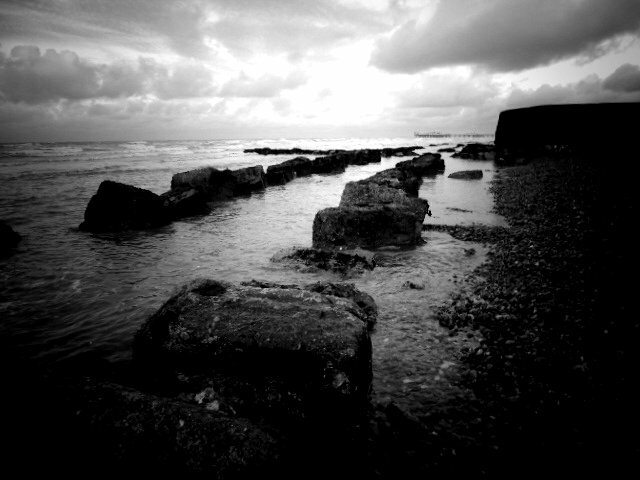 Remains of the track beds at Rottingdean 2009. Remains of the track beds at Rottingdean with one of the post to carry the electricity cables visible. May 2009. A view from the cliff. I think this was the first time I ever saw the remains of the tracks. A bit excited I was! Just visible along the waters edge. 2007. Looking towards the Palace Pier from the Marina. 2011. 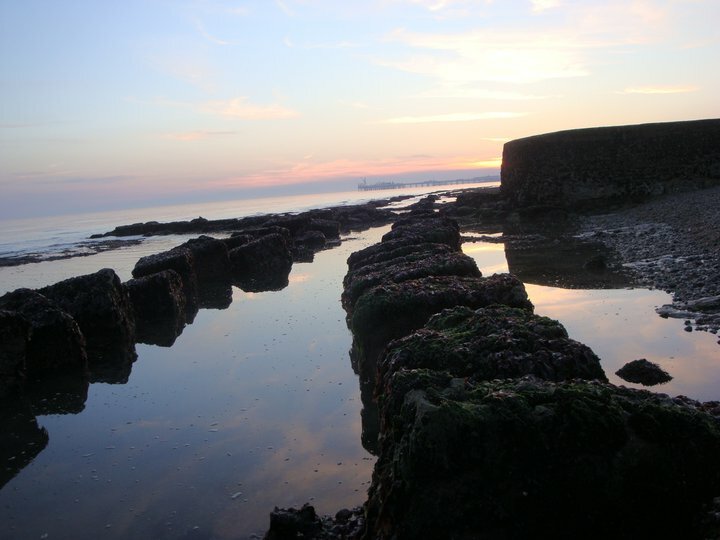 The remains of the trackbeds in the sunset looking towards Brighton from the Marina. April 2011. A model of the Pioneer at the 2012 Model Fair. February 2016. The tracks looking west. Taken from the beach at the side of the Marina. One of the pylon's that carried the electricity cables above the car. At the foot of the groyne just west of the Marina. Very low tied. February 2016. The tracks looking west. Taken from the beach west side of Brighton Marina. February 2016.